Beloit, Wisconsin Offers Hotels and Activities that are Dog-Friendly! Beloit Offers Lodging and Activities that are Dog-Friendly! You have been planning this family trip for months! Or perhaps it’s a romantic getaway with your loved one, or an exciting reunion trip with friends you haven’t seen in years. Your itinerary has been prepared, your tickets are printed, and your hotel room has been booked. You’re hyped about taking Fido with you and you remember to pack his favorite dog treats, but wait! Is your hotel dog-friendly? I’m sure you would hate to leave your furry friend behind. 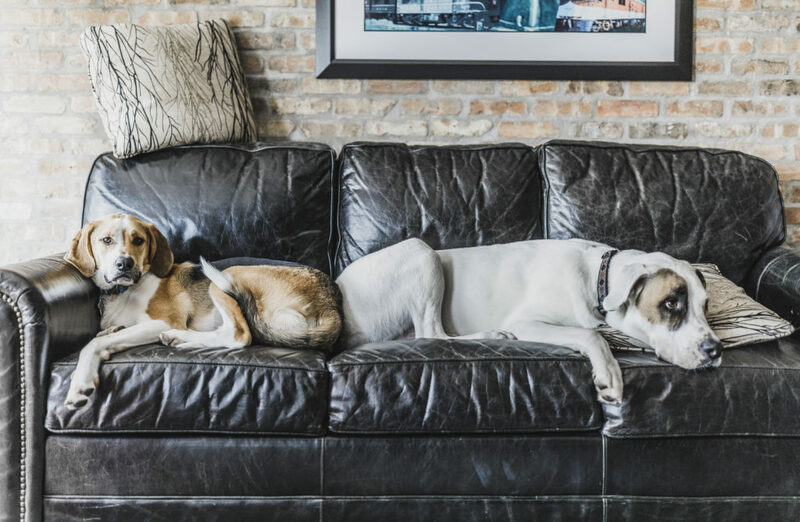 Don’t panic and read on for a list of dog-friendly hotels and places in Beloit, Wisconsin! Featuring industrial charm and modern amenities, the Ironworks Hotel offers is extremely dog-friendly and offers these room categories – Traditional Guest Room, Heritage Suite and Legacy Suite. All rooms include luxury bedding, flat screen televisions, and in-room safes to store your belongings. You can also enjoy free high-speed Wi-Fi, free parking and valet services, and a fitness center with modern equipment. Don’t forget to treat yourself at the in-house Merrill & Houston’s Steak Joint – indulge in great steak and seafood, take in the beautiful riverside view, and enjoy live music on Friday nights. 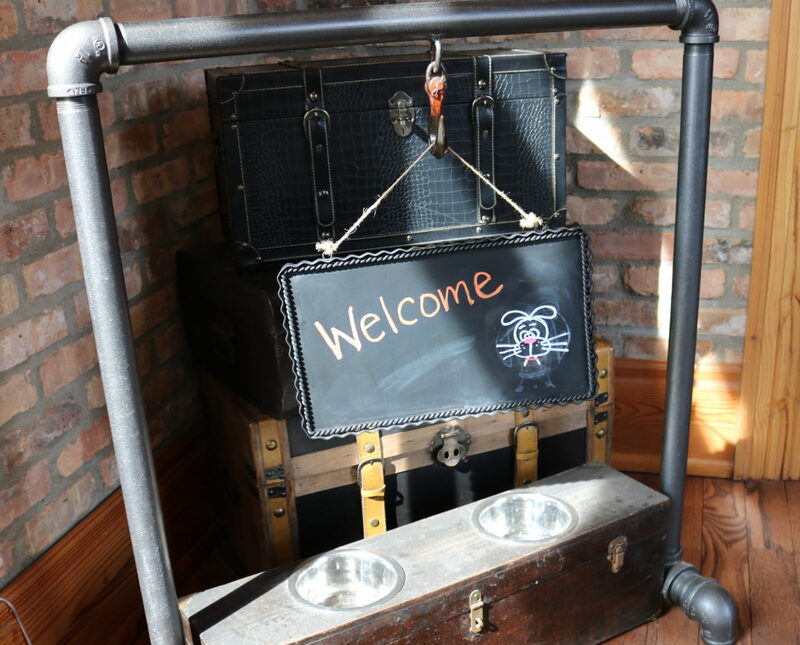 The Ironworks allows two dogs per room, with a fee of $20 per pet, per night. Best Western Legacy Inn & Suites offers a variety of King, Queen, and Suite room types. You are welcome to relax at the indoor swimming pool and burn some calories at the fitness center. Guests can also enjoy a hot breakfast buffet for free! If you’re worried about keeping up with work emails or need a meeting space, you’re welcome to utilize their business center. Best Western allows dogs based on the availability of dog-friendly rooms. Up to two dogs, weighing a maximum of 80 pounds each, are allowed per room. The pet rate is $15 per stay with a $100 per week maximum. Fairfield Inn & Suites by Marriott is dog-friendly and welcomes you with a luxurious stay – enjoy hot complimentary breakfast, free Wi-Fi access, a fitness room and an indoor pool/hot tub. You can bring up to two dogs per room, with a weight restriction of 50 pounds each. A non-refundable cleaning fee of $20 per night is required as well. Quality Inn is well-known for its comfort and welcoming services, offered to guests and their four-legged best friends. You can enjoy free Wi-Fi, a fresh complimentary breakfast, an indoor pool, and a fitness center. You have the option to bring two dogs per room. The maximum weight per dog is 50 pounds, and a $20 per night fee applies. If you’re looking for cozy and clean rooms and you’re traveling on a budget, Rodeway Inn offers great facilities – and it’s pet-friendly! You can bring two dogs per room with a maximum weight of 100 pounds per dog. Rodeway requires a fee of only $10 per dog, per night. Home2 Suites by Hilton will be opening in Beloit this summer. The hotel will offer 102 guest rooms and aim to be an environment-friendly and pet-friendly space. Coupled with spacious suites and inspirational work areas, Home2 Suites is an ideal extended-stay option. Feel free to bring your puppers along! Hotel Goodwin offers 34 unique rooms modeled in a mixture of history and modern luxury. The hotel also features a fitness center, Velvet Buffalo Café—an in-house pizza and tapas restaurant, and a picturesque rooftop conference center. Bring your dogs along for a fee of $30 per day, per pet. Whether you have a Miniature Poodle or a German Shepherd, no dog likes being cooped up in a hotel room! Luckily, Beloit offers tons of options for you and the four-legged critter to get some exercise or grab a bite! Why should your canine companion feel left out while you enjoy some of Wisconsin’s finest craft beer and scrumptious burgers? Indulge in your meal with your dog beside you in the beautiful outdoor seating areas at the Rock Bar & Grill, Lucy’s #7 Burger Bar, and The Thirsty Badger Bar & Grill. If you love fresh, daily-made bagels, Bagels & More is ready to welcome you and your dog. Bushel & Peck’s offers an authentic farm-to-fork dining experience and a preservation kitchen. Enjoy their Downright Awesome Burger or the veggie Black Bean Burger at one of their patio tables. If you have a sweet tooth, Culver’s and Dairy Queen have you and your precious pet covered. How does the idea of strolling through scenic vineyards and sipping chardonnay sound? Visit DC Estate Winery for a taste of Tuscany. On the second Wednesday of each month, throughout summer, DC Estate hosts Bring Your Own Dogs (BYOD) Wednesday. Try a variety of wine on the patio, relax under the sun, and have some water ready so your furry friend doesn’t feel left out. Pack a tennis ball or a Frisbee and head over to the Beloit Dog Park! This 2.5-acre park contains a fenced, off-leash area where your dog can run, play, and socialize freely. The area is divided into two – one is specially designed for smaller breed dogs, while the other is reserved for larger breed dogs. The 3.5-mile paved pathway known as the Beloit River Walk runs along the scenic Rock River. Get some exercise and spend some quality time with your dog along the path. You’ll both enjoy the view, but please remember to put your dog on a leash during your walk! Spend the rest of your day at the beautiful Riverside Park. Relax among the greenery at the picturesque waterfront. 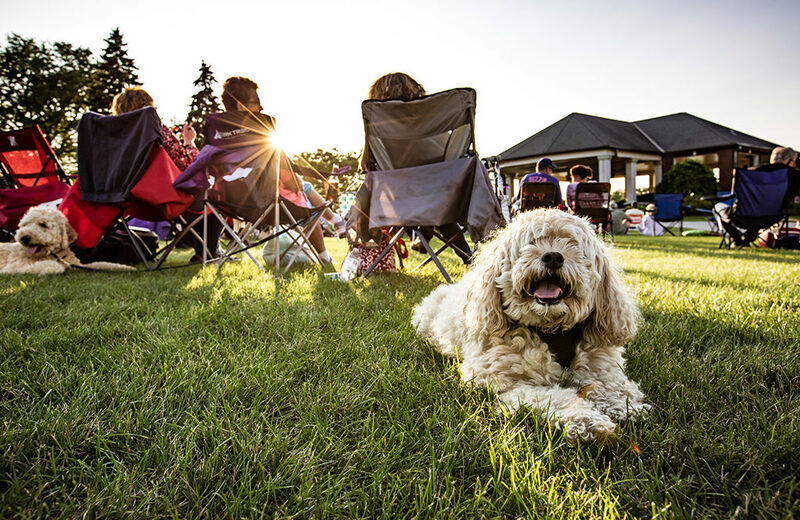 Be sure to attend Music at Harry’s Place – you and your dog can enjoy free live concerts at the park every Friday from 7 p.m. to 9 p.m. You can also grab a bite from one of the food trucks. Plan your unforgettable vacation to Beloit today, it is sure to be something you and your dog will enjoy equally!